We’re too tired to bother. We want to spend extra time in bed. There’s no readily available breakfast foods in the house. These are the main reasons people skip breakfast. And every single one of these reasons is identifiable. We live stressful, fast-paced lives, where time is scant and fatigue is prevalent. This post is inspiration to provide you with fast and healthy breakfast options for you as you’re running out the door. Why is breakfast so important in the first place? Well, there are many reasons. Here are just a few. Breakfast breaks the overnight fasting period, replenishing the body with essential nutrients to keep energy levels up during the day. It restores your metabolism for the day, which has drastically slowed during the night. Skipping breakfast may diminish mental performance. Skipping or eating an inadequate (not enough food, junk food, etc.) breakfast makes you more likely to make poor food choices throughout the rest of the day. People who eat breakfast are more likely to have more nutritious diets than people who skip breakfast, and have better eating habits since they’re less likely to be hungry for snacks throughout the day. These reasons for why breakfast is so important are the same answers to why breakfast needs to be healthy, quality food. If we fill it with junk that is lacking in the nutrients we need, we won’t replenish our body, and on top of that, we’ll have a really hard crash later in the morning, reinforcing potentially poor food choices. Soooo…let’s talk recipes! What are fast, minimal assembly meals that don’t compromise health? Here are some ideas. Avocado Toast. The options for toppings are endless here. Avocado takes a minute to mash and put on toast in the morning. Have your toppings prepped the night before so you can just top it and go. Need some inspiration? The Kitchn has some great ideas here. Healthy Banana Bread. Recipe here. Make it the night before or over the weekend, just slice it and go in the morning. Quinoa Breakfast Bowls. This grain is a powerhouse, making it ideal for breakfast. 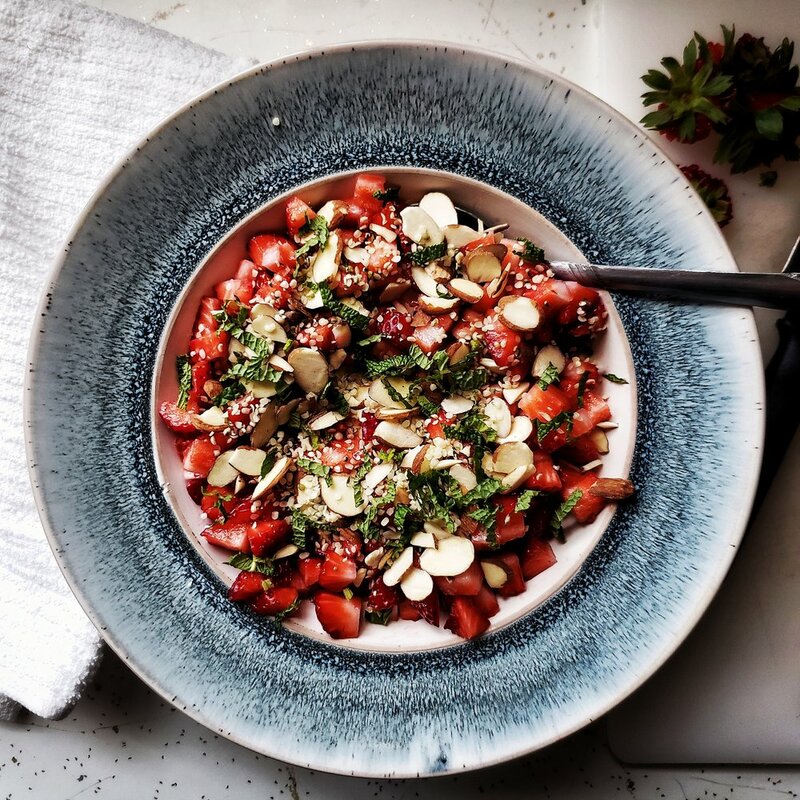 Simply Quinoa has some great breakfast bowl ideas. Yogurt Bowls. Again, there are a plethora of topping options here. If you’re not sure where to start, I have a post covering seven days of yogurt bowls here. Whole Grain Blueberry Muffins. Seriously, this could not be simpler in the morning. It even comes with its own portable packaging. Find the recipe here. Fruit & Cheese Cups. Just cube some cheese and fruit pieces the night before, put in a container, and then grab it on your way out the door in the morning! So easy and customizable. Protein Shakes. This takes minutes. Find a good protein powder (vanilla, strawberry, and chocolate are popular flavors) and mix it in a bottle with milk or water in the morning. Portable breakfast. Energy Bars. These are everywhere! Just pick them up next time you go grocery shopping, and you have breakfast ready and made for you! Egg McMuffin. You read that right. If you have to grab fast food for breakfast, the Egg McMuffin is the best option. It’s not an insane amount of calories and has good protein in it thanks to the egg and Canadian bacon. Granola Cups. 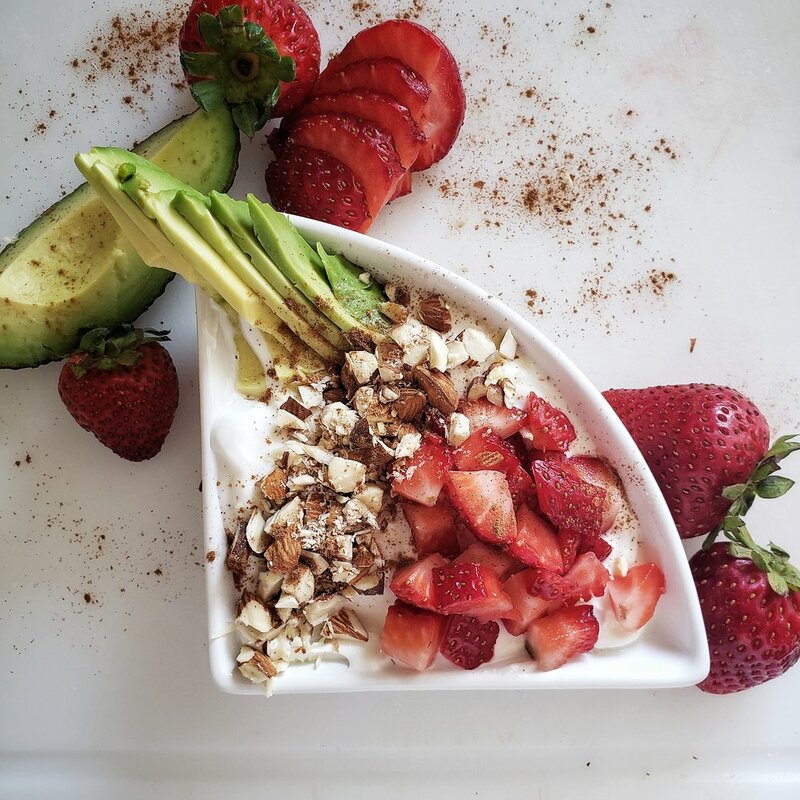 Grab you some granola, add in some berries/fruit and yogurt, and you have breakfast!